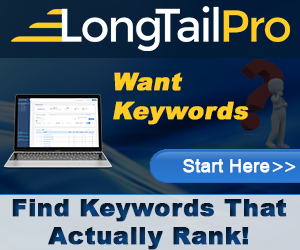 Whenever it’s about an online keyword research tool, Long Tail Pro is at the top of the list. Long Tail Pro (LTP) is one of the prominent keyword research and competitor analysis software among the online marketing community. Those who are looking for high traffic keywords with low competition, LTP suit the best. Well, let’s dig into deep of the topic with the Long Tail Pro review. What does Long Tail Pro (LTP) do for Internet Marketers? Being an important SEO research tool, LTP automatically provides you with the perfect, profitable, targeted and long tail keywords for your niche, blog or review site. With LTP, you can find the best long tail keywords to rank higher in Google or any other search engine. Recently in February 2018, two important updates have happened in Long Tail Pro which makes it stand apart from the competitors. One is bulk check for keyword competitiveness (KC) which saves a really good time. Another is just one edition of this competitor analysis software which is Long Tail Pro WITH Platinum with unique monthly or annual pricing. You can easily calculate keyword competitiveness (KC) score with a single number for almost any niche. By utilizing built-in KC metric you can automatically calculate 0-100 score using LTP’s owned algorithm which is tested and tweaked again and again for the perfection. The KC score helps you decide which keywords to target by bringing related ranking metrics together into one easy number. 70 to 100 - Don’t even think about it! · Generate keywords based on your seed keyword which is actually a broad term for which you want to build keywords list. · You can create multiple projects and have different campaigns for different sites. This all helps you stay organized. · It’s easy to filter, sort and export keywords in Excel spreadsheet and import keywords into Long Tail Pro as required. You can import up to 10,000 keywords at once. · You can hit upon long-tail high-CPC keywords which are very useful for increasing AdSense revenue. · Check domain availability for domain names. LTP can suggest you keyword-rich domain names for your micro-niche blog. · Check the Google, Bing and Yahoo ranking or competition for your keywords. · It has advertiser competition and suggested bids feature which is useful for PPC marketers. · It has keyword competition checker. · Num words allow you to place a minimum or a maximum number of individual words in the keyword with which you can better find proper long tail phrases. · You can favorite your best keywords. · Global search volume and local search volume are also there in LTP. · In-depth and detailed domain and page level metrics help you scope out the competition. · With the brand new Rank Value feature, you can discover the profitability of the keywords for your website. Thus, LTP has tons of features which you would love being an online marketer, affiliate marketer or PPC marketer. This internet tool has the world’s most powerful SEO research features. LTP’s latest version is faster, more intuitive, and much better than the previous LTP software. LTP can be easily installed on Mac OSX and Windows, so no worries! You can check its working with a 7-day free trial. Click here for the same. 1. Annual Starter: It costs $25 per month and $297 per year. 2. Annual Pro: It costs $45 per month and $537 per year. 3. Annual Agency: It costs $98 per month and $1177 per year. Now comes the important part of the Long Tail Pro review that is pros and cons. · It is easy to use competitor analysis software. · It is regularly updated which makes it more effective. · Good support from the LTP team. · It is frequently updated with special features. · Highly professional and well polished with an intuitive interface. 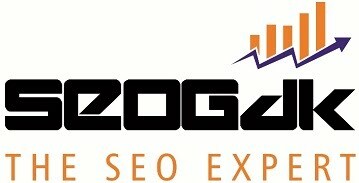 · It seems highly priced as compared to other keyword research tools in the market. · As it is SEO guru-hyped, many people purchase LTP software with repellently inflated expectations. · Sometimes it is unreliable due to occasional niggling bugs. · There is no cloud access with LTP. No doubt that LTP is most excellent to find the best keywords for your blog or niche to drive more traffic and generate more revenue with many other useful features. However, it may not seem worth the money being charged as compared to other alternative options available. The best thing is to go for a free trial first and then decide if you want to buy it or no! You are absolutely right Mallika, Keyword research is the key preocess in SEO. Thanks for exchanging your thoughts on this topic...Hope to see you arround here again...!!! 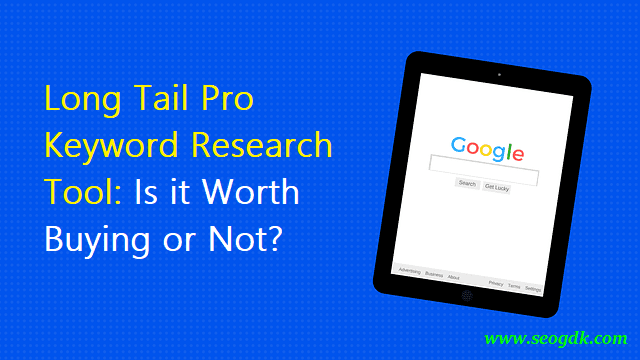 I am currently using long tail pro and it is the best ever keyword reasearch tool i used.Thanks for your inputs in long tail pro pros. Welcome and thanks Neeraj for sharing your feedback about this keyword research tool...Have a great weekend...!! !